Pacer ID (disregard the Penske truck!). Half marathon #13 is in the books for me, as is my first bout as a pacer. It can be challenging to keep a pace different from your usual and sustain it over such a distance, especially when contending with 20 mph winds along the race course. (But at least it wasn’t raining!) The plus is that it gave me the opportunity to talk with some first-time half marathoners along the way, which is always wonderful. And I’m so very proud of Walk With Joelle client Michele K. Today was her first half marathon as a walker, and she rocked! She finished strong and fast — and earned an award for her efforts! Volunteer Louie — greeting walker Alicia at mile 8 — was a terrific part of the day, biking along the course and putting in time at mile markers. His spirit was contagious! The other great thing about this race was that several of my friends also participated, both as pacers and walkers. It’s fitting because marathoning brought us all together in the first place. Nearly 10 years ago, in my days at Prevention magazine, I was involved in its program to train readers to walk half and full marathons. 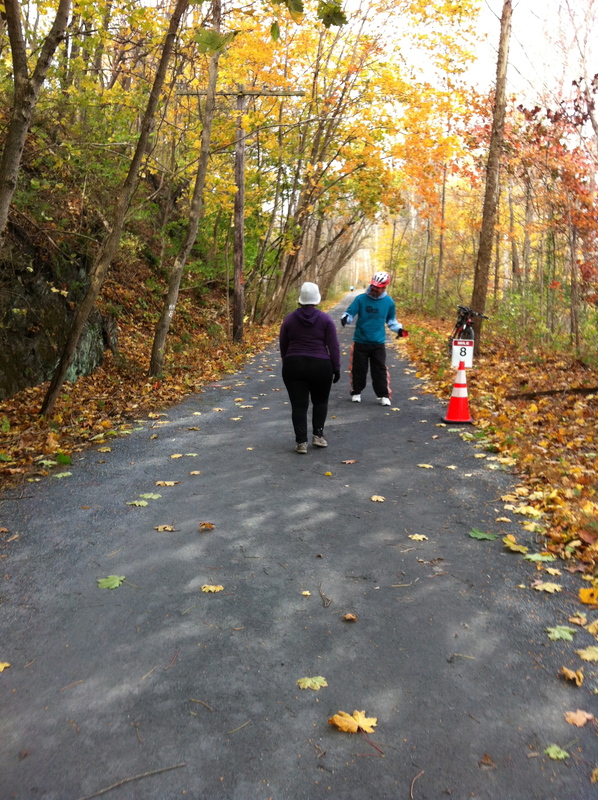 Some of our readers became intimately involved with the program and were integral to its success — and the success of so many fellow race participants! And along the way we spent a lot of fun times together at races across the country. That grew to doing races “off-duty,” so to speak. And although the magazine’s program ended, the deep friendships did not. So I’m always especially happy to spend a race weekend with friends — friends who know the time invested in training, who know the frustration when a race doesn’t go as planned, who are inspiring and motivating, and who know the joyous emotion of completing a race, whether your first or 10th or 40th (and cheer for you just as loudly from race to race). 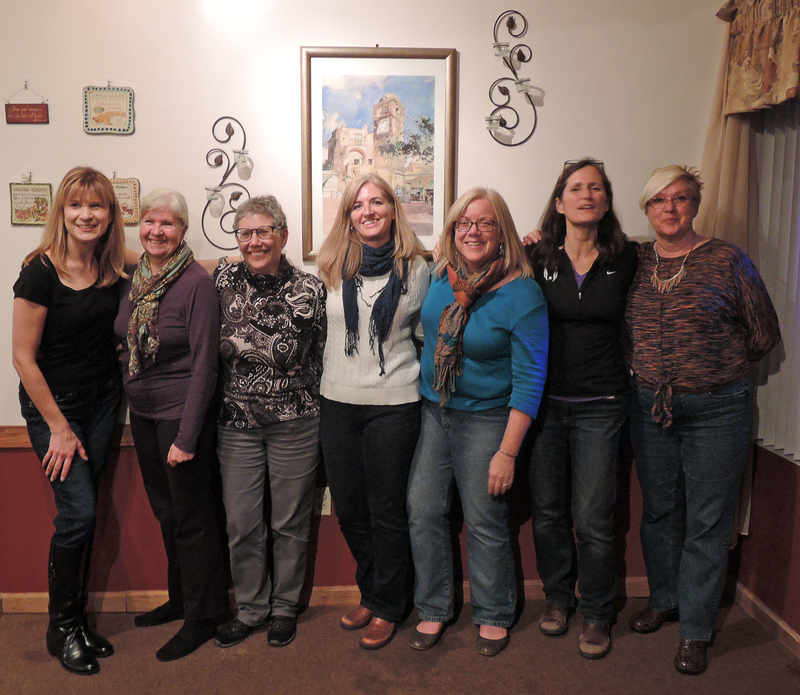 Thanks for another great weekend, ladies … even though it was too short and not a complete group reunion! And congratulations to all the walkers today too! Race friends: Countless miles have been walked by these seven pairs of feet over the past nearly 10 years! 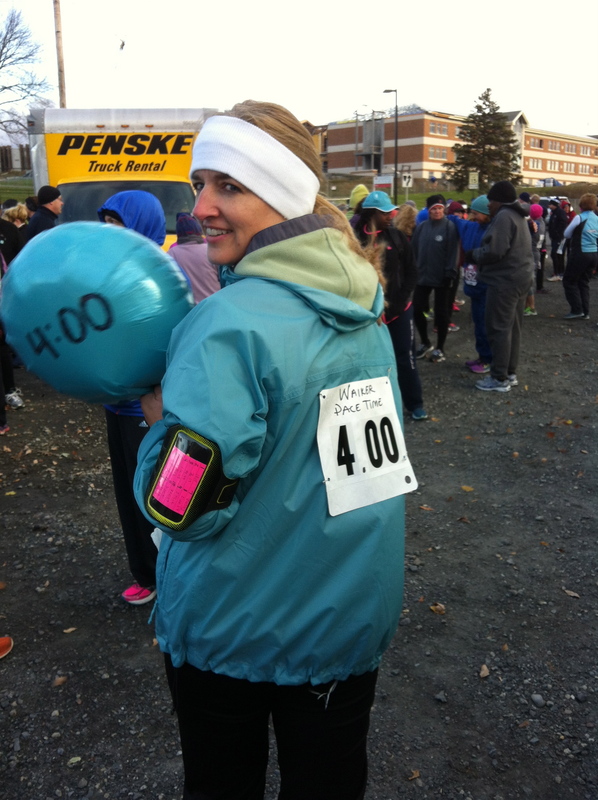 This entry was posted in Race stories, Where I've walked and tagged Delaware & Lehigh Heritage Half Marathon, first half marathon, friends, full marathon, half marathon, walking, walking category, walking pace by Walk With Joelle. Bookmark the permalink. Awesome Joelle! Way to walk!